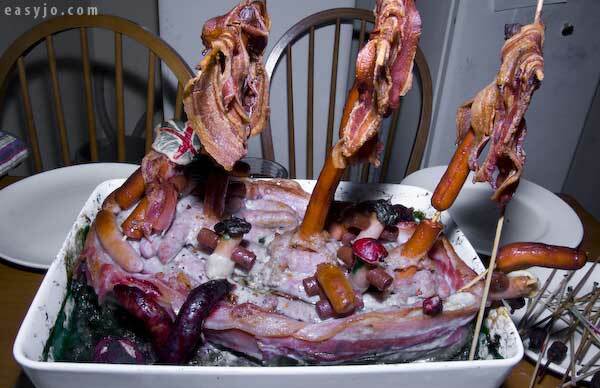 I do love meat products, but the meat ship looks more like evidence from Ed Gein's house than something folks should be eating. Unless of course, you happen to be Ed Gein. 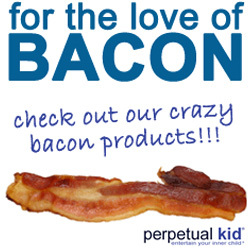 weiners, bacon and cholesterol oh my! And I thought I was being bad a few weeks ago when I had a bacon infused vodka bloody mary in Seattle. By the way, I thought about skulls and bacon with every sip.